Logitech's Bemo Social Video Camera with High Quality Video, Mobile Edit and Share App is a mini camera that shoots short videos, including time lapse and stop motion videos, and syncs with the iPhone. A companion smartphone app is used to edit video clips, add effects and share the videos. 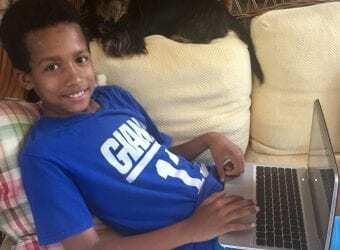 Logitech calls it a “social camera” because users can share the movies they create from the app directly through email or Airdrop or by uploading to social media like Vine and Instagram. 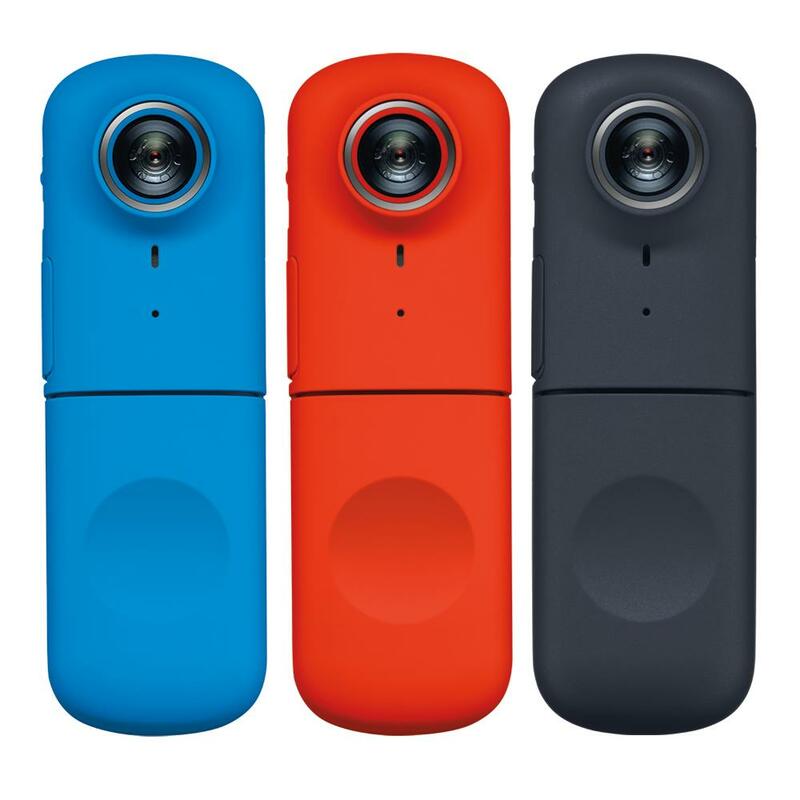 The camera has an 8 megapixel lens and comes in three colors: black, red and aqua blue. It is small (about 1 inch by 1.2 inches by 3.6 inches) and lightweight (2 ounces) with a Lithium-ion polymer battery that’s rechargeable through a micro USB cable. LEDs on the side of the camera indicate how much charge the battery has. The smartphone app also indicates the camera’s status (battery, memory) and applies new firmware updates to the camera. 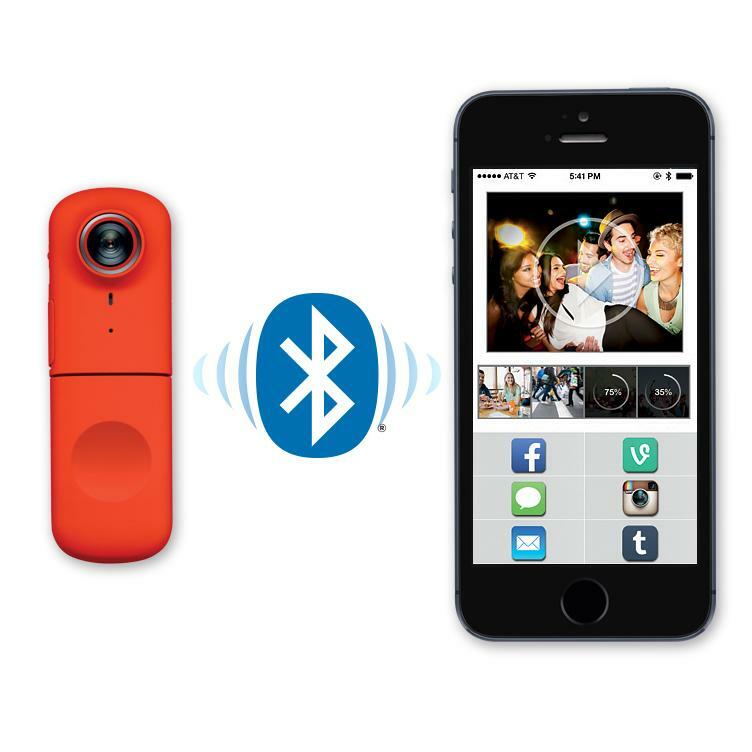 The camera connects to the iPhone app through Bluetooth. A user has to initiate Bluetooth pairing between the camera and the iPhone by opening an access door below the camera’s On switch and pressing the Bluetooth connection button. 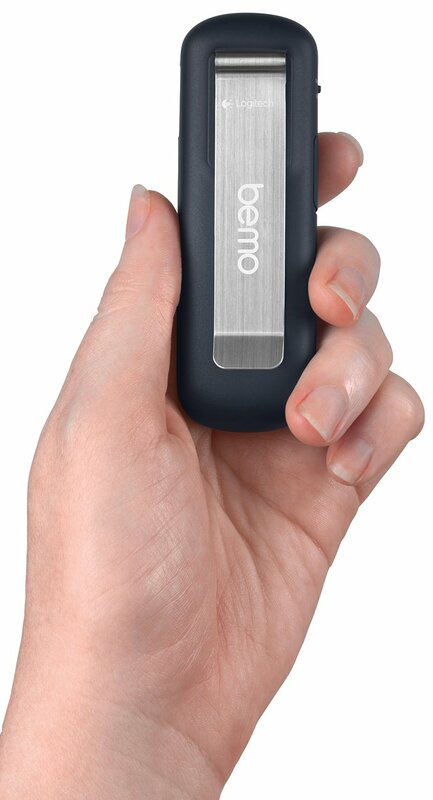 Then the user selects Logitech Bemo from the devices list on the iPhone and downloads the app. The mini camera has a back clip and comes with a lanyard and pre-installed 4GB microSD card that stores up to 3 hours of video. It has one-button operation to record 720 x 720 resolution video, but the user must hold down the Capture button on the camera to record continuously. The camera is therefore not meant for long recording but for capturing short videos (longest clip is one minute), but using the app someone can edit clips together and add filters and music to create a short film. If the camera is already connected to the iPhone, the video is automatically added to Clips in the phone app. Otherwise the camera stores the clip until the next time it’s connected to the app. A user can also remotely trigger the camera from within the iPhone app to take time lapse videos by opening the Camera menu and tapping to start the video recording. Logitech classifies Bemo as a smartphone accessory for making short films, documenting one's travels (clip it to the front of a bicycle basket, as an example), or recording and editing shareable moments of the kids or household pets. The camera is water resistant but not waterproof; Logitech does not recommend using it when surfing, kayaking or swimming because the camera should not be totally submerged. Logitech showcased the camera during its promotional giveaways at the 66th Primetime Emmy Awards.